Four in ten Brits are convinced they have seen a ghost, according to new research. 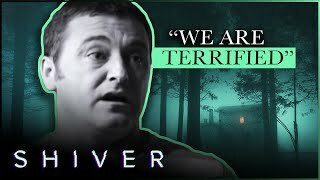 In fact, over the course of their lifetime, they believe they've either seen a ghost or experienced some form of paranormal activity six times. Incredibly, a third of respondents claim to have been confronted by the spirit of a dead friend or a relative. Two in five believers in the spirit world say they've seen the "full apparition" of a ghost while a quarter has witnessed a moving object." 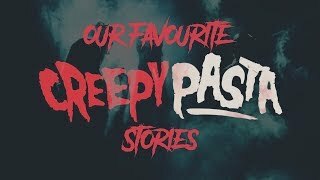 The research found that more than eight in ten of those who have witnessed some form of paranormal activity have opened up about their experience to friends and relatives. The majority were encouraged to go into more detail, but many were laughed at or told they were "crazy." A spooks-woman for Ripley's Believe it or Not! 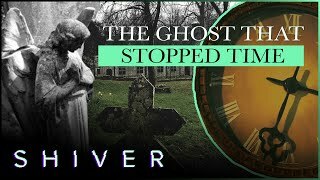 London which commissioned the study, said "ghost stories are so popular now that even if you're not a 'believer' you're likely to find them entertaining, especially around this time of the year. We love people sharing their unusual experiences with us as after all, we are the home of the unbelievable!" At number 10, disembodied screams and ghostly cries have been witnessed by many. The sound of children laughing is a common sign of a haunting. Many people have reported seeing a disembodied hand floating in haunted locations. As well as ghostly hands, it seems the head of a ghoul is another commonly sighted apparition, although oddly there's no a single mention of the headless horseman in the top 10. Ranking slightly higher than children's laughter is the ghostly sound of adults laughing, this can sometimes been evil cackling or a sinister shriek. Many people have reported seeing the ghostly figure of a child. Animals rank highly in the top ten, often in the form of ghost pets, usually cats and dogs. Ghost horses are also a common occurrence. Orbs are one of the most regularly sighted types of haunting, they're never seen with the naked eye but are an artifact caught on camera in haunted locations. More common than an actual sighting of a ghost is witnessing an object move under supernatural control. This type of paranormal activity is normally attributed to poltergeists. The most common type of haunting is the sighting of full-torso, free-roaming figure of a human being. Not only are they spotted with the naked eye but are often caught on camera, their existence dates back centuries in classic ghost stories from the world of fact and fiction. With more than 700 amazing artefacts on display, the attraction celebrates the weird, wonderful and bizarre in all its forms. With everything you can imagine (and plenty more you can't), Ripley's Believe It or Not! London is a family day out that's definitely out of the ordinary. For additional information visit ripleyslondon.com.